EarHustle411 QOD: True Or False…Do Black Women “Create” The Men They Complain About? There is always some controversial conversation about the “quality” of black men and black women are supposedly complaining about that very topic. Well EarHustle411 came across a conversation on Facebook where the question was “does black women create the men they complain about…true or false?” We know that the black man has been getting a bad rap for a very long time, however to say that the black woman “creates” the very man that they complain about is stretching the situation. 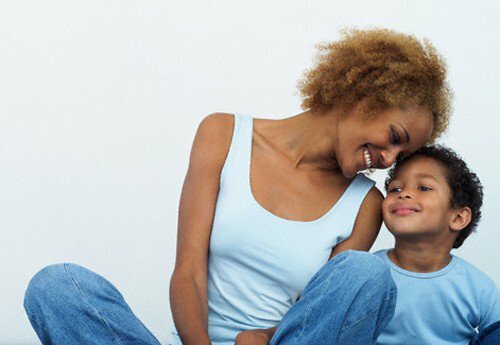 Interestingly enough that 1 in 4 children are raised in a single parent household and along with those statistics approximately 72% of black children are raised in single parent homes according to NewsOne in 2009. Of course those numbers have increased drastically. While rearing children is not an easy task with two parents so we know with one parent the difficulties are doubled. So is it a fair to say that girls are “raised” while boys are “catered” to and does this contribute to the type of man he becomes? As a black child goes through life and all that it entails, would his experience also contribute to the kind of man he will be, one would think that his rearing and his life experience would have a lot to do with the type of man he would be. Black women have been complaining the quality of Black men for at least the last forty years. Maybe longer but I wasn’t paying attention when I was a pre-teen. Black women have called Black men every name in the book, even going on national media to air their grievances. What’s not talked about is how these men got that way. Well I take that back. The sorry state of Black men is always put at the feet of other Black men. There is some truth there but in a community where there is an epidemic of single mothers the blame has to spread to both sides. Indeed with the state of the community I would say women play a more significant part in why things are jacked up. The hand that rocks the cradle rules the world. Black women are raising the very men they come to dislike. There was an old saying back in the day. It was said Black women, “raised their daughters and loved their sons.” Essentially single Black women would “raise” their daughters to be independent, to get educated, to get a good career, etc. Little boys in the same household are generally coddled. Mothers cater more to their sons. Many mothers will dress their sons to look cute. I’ll get back to that point in a second. They’ll let their sons get away with not doing well in school. They’ll cater to their sons to point where the boys will never grow into independent thinking men who are able to make a mark in the world. These men usually evolve into men who end up being taken care of by women. Some of these men end up being gigolos or exotic dancers who make money catering to women. The problem with these men is that when a woman needs them to be a man these men are not able to step up. I want to address that cute thing. Back in the day when I used to hang out in more rough neighborhoods I would see young women with their young baby boys in tow. It struck me how often these little boys would look like little girls. Their hair would be braided and I’ve seen toddler boys with earrings in both ears. The kids would also be dressed fly in name brand clothing. Of course the young women would be fawning over them. Every time I saw this I would think, “There goes a future Mr. Goodbar.” The lesson that little boy would learn is that as long he looks cute to a woman they would cater to his needs. This is where it becomes a problem for women. The little boy grows up into a man who looks fly and who knows how to get women to take care of him. His teacher was his mother. In any relationship there comes a time when a man has to step up and be a man. This male, we really can’t call him a man, doesn’t know what to do. He doesn’t have the training. While the mother was raising her daughter to be strong and independent, she raised her son to be cute and dependent. The women who get involved with those males end up hating the male for the very thing that attracted them to in the first place. Of course the father’s get blamed but in most cases the father was the same type of man who was never raised to be man himself. It becomes a vicious cycle. Black women are fond of saying, “Your momma Black” to Black men. Usually in cases where a Black man criticizes Black women or when a brotha is dating Becky. Well Black women need to realize that the same men they complain about being playas, womanizers, and thugs, had Black mommas too. Black single mothers who in many cases prevented the fathers from actively raising the sons. If a woman wants to know why a particular Black male is trifling look no further than his mother.